Adjara has been part of Colchis and Caucasian Iberia since ancient times. Colonized by Greeks in the 5th century BC, the region fell under Rome in the 2nd century BC. It became part of the region of Egrisi before being incorporated into the unified Georgian Kingdom in the 9th century AD. The Ottomans conquered the area in 1614. The people of Adjara converted to Islam in this period. The Ottomans were forced to cede Adjara to the expanding Russian Empire in 1878. After a temporary occupation by Turkish and British troops in 1918–1920, Adjara became part of the Democratic Republic of Georgia in 1920. After a brief military conflict in March 1921, Ankara’s government ceded the territory to Georgia due to Article VI of Treaty of Kars on condition that autonomy is provided for the Muslim population. The Soviet Union established the Adjar Autonomous Soviet Socialist Republic in 1921 in accord with this clause. Thus, Adjara was still a component part of Georgia, but with considerable local autonomy. After the dissolution of the Soviet Union in 1991, Adjara became part of a newly independent but politically divided Republic of Georgia. It avoided being dragged into the chaos and civil war that afflicted the rest of the country between 1991–1993 due largely to the authoritarian rule of its leader Aslan Abashidze. Although he successfully maintained order in Adjara and made it one of the country’s most prosperous regions, he was accused of involvement in organised crime—notably large-scale smuggling to fund his government and enrich himself. The central government in Tbilisi had very little say in what went on in Adjara; during the presidency of Eduard Shevardnadze, it seemed convenient to turn a blind eye to the situation in Adjara. This changed following the Rose Revolution of 2003 when Shevardnadze was deposed in favour of the reformist opposition leader Mikheil Saakashvili, who pledged to crack down on separatism within Georgia. In the spring of 2004, a major crisis in Adjara erupted as the central government sought to reimpose its authority on the region. It threatened to develop into an armed confrontation. However, Saakashvili’s ultimatums and mass protests against Abashidze’s autocratic rule forced the Adjaran leader to resign in May 2004, following which he went into exile in Russia. After Abashidze’s ousting, a new law was introduced to redefine the terms of Adjara’s autonomy. Levan Varshalomidze succeeded Abashidze as the chairman of the government. For many years, Russia maintained the 12th Military Base (the former 145th Motor Rifle Division) in Batumi. This was a source of great tension with Georgia, which had threatened to block access to the facility. Following talks in March 2005, the Russian government proposed to begin the process of withdrawal later the same year; Russia returned the base to Georgia on November 17, 2007, more than a year ahead of schedule. In July 2007, the seat of the Georgian Constitutional Court was moved from Tbilisi to Batumi. 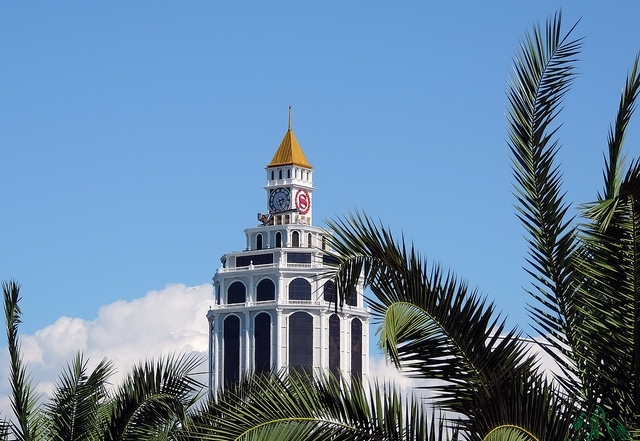 Batumi today is one of the main port cities of Georgia. It has the capacity for 80,000-tonne tankers to take materials such as oil which is shipped through Georgia from Central Asia. Additionally the city exports regional agricultural products. Since 1995 the freight conversion of the port has constantly risen, with an approximate 8 million tonnes in 2001. The annual revenue from the port is estimated at between $200 million and $300 million. 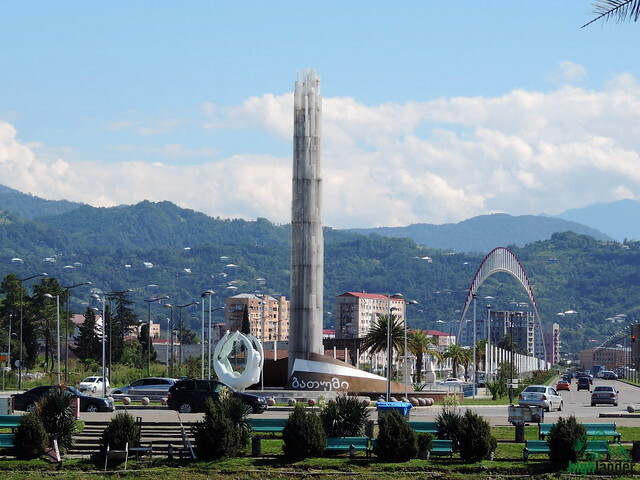 Since the change of power in Ajara, Batumi has attracted several international investors with real estate prices in the city trebling since 2001. Several new hotels opened after 2009, first the Sheraton in 2010 and the Radisson Blu in 2011. The Trump-tower and the Kempinski will open 2013.